Uh-oh, the doorbell is ringing, and you are in the middle of a relaxing shower. Or you are working on a project, and you need to focus. Or you are baking, and your hands are covered in flour. Or you aren’t even home but got an alert that someone is at your front door. It used to be annoying when I was in the middle of something, and the doorbell would unexpectedly ring. If it was a delivery, I’d want the delivery person to just leave the package. If it was solicitors, well, I don’t want to answer at all. These days, though, it doesn’t really matter who is ringing, what I’m doing or even where I am. Thanks to my Lorex Camera System, I can see and talk to whomever it is from wherever I am. I don’t have to run to a window or stop what I’m doing to answer. I can just use my smartphone to communicate with them via the Lorex mobile app. Without skipping a beat, I can quickly get back to what I was doing. 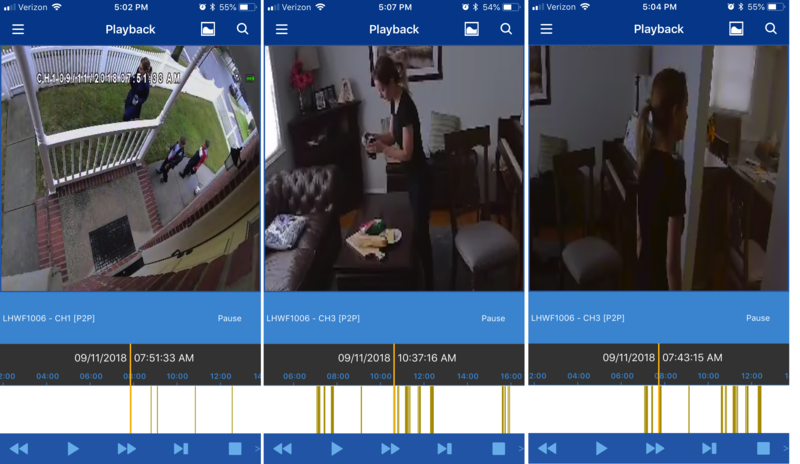 The HD Wire-Free Security System I use features a set of four cameras that all link to the Lorex mobile app. I can check each camera live whenever I’d like. I can go back in time and check video footage from earlier in the day or another date altogether, and I can zoom in on the view to get a better look. The longer I’ve had the Lorex Camera System, the more I appreciate how much easier it has made my life, and how incredibly useful it is. It does so much! I’ve even gone back and viewed footage to see what I look like from another perspective and check whether I’m having a good hair day or a new pair of jeans is flattering. Sometimes the mornings are busy and I rush out the door, so I playback video of myself running out of the house to see how put-together I look. It’s funny how much the cameras have become a tool for so many things, catching activities around the house (I forgot I was being recorded while taking pictures of a recipe) and checking to make sure my boys are behaving while I’m doing chores on another floor of the house. I’ve come to rely on them as another set of eyes and they are surprisingly versatile. Smart home upgrades are becoming the norm now, and many are realizing how much they increase their quality of life. A Lorex Camera System not only adds a level of security that is very reassuring—especially when you have kids. It just makes life easier. I don’t have to stop what I’m doing anymore to go downstairs and answer the door, or let anyone know I’m not home. I can tell the delivery guy to just leave the package on the stairs, tell my mom who just dropped by that I’ll be home soon, or not respond to a visitor at all if I don’t need to. 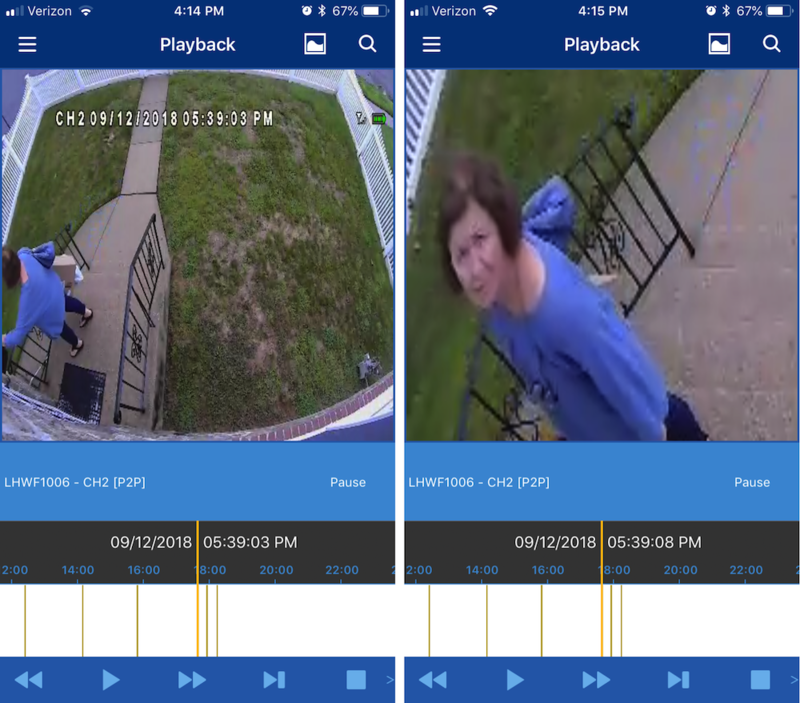 I’m connected to what is happening right at my front door, and inside my home too, since I installed one of the cameras in our living room. I’m also loving that fact that the Lorex cameras capture all the activity on my front stoop, where I do get many packages delivered. I feel like the camera is a bit of a deterrent to anyone passing by and noticing all those boxes. If you’re looking to make your home smarter too, the Lorex 4-Camera Wire-Free Security System with 1TB HDD DVR has great features, such as two-way chat, high-resolution 2MP image sensors that record in 1080p full HD, and playback recordings saved for up to two years on the 1 TB high definition DVR. Add to this many more advanced and convenient capabilities: the ability to zoom in on the video, the very wide 140º angle of view that lets me see my entire front yard, and infrared night vision and motion activation powered by infrared sensors so it only turns on when there is movement by from people, cars, animals and anything else you’d want to record. All in all, our Lorex camera security system is simply awesome!